Take your tasty beverage with you on your next outdoor adventure with the 18 fl. oz. Flask from GSI Outdoors. 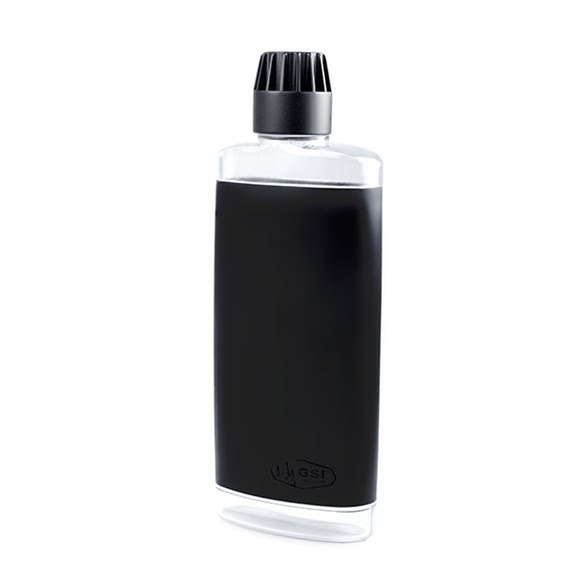 This flask is made with 100% Recyclable PET plastic construction is lightweight and BPA-Free. It's low-profile hip flask design stows easily in pockets and it's easy to fill, wide-mouth opening and convenient shot cap. Take your tasty beverage with you on your next outdoor adventure with the 18 fl. oz. Flask from GSI Outdoors. This flask is made with 100% Recyclable PET plastic construction is lightweight and BPA-Free. It&apos;s low-profile hip flask design stows easily in pockets and it&apos;s easy to fill, wide-mouth opening and convenient shot cap. Dimensions (packed) 3.70" x 1.60" x 9.00"